For a quick overview of one of the world's most famous cities, you can't beat this 1-hour trolley tour. See the best of Hollywood like Hollywood's Forever Cemetery and the apartment featured in Pretty Woman. 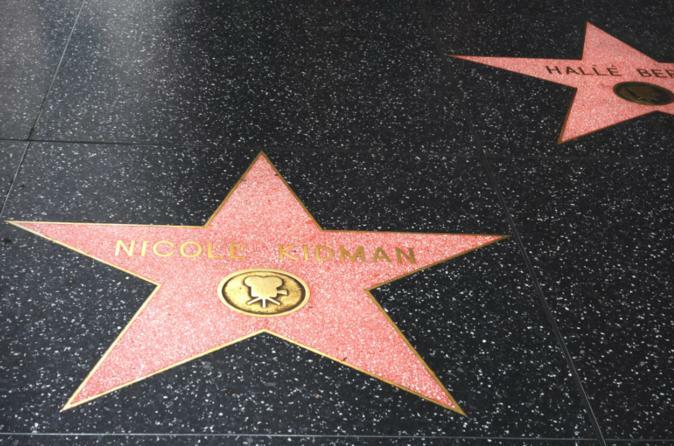 Also see the famous Walk of Fame, the historic Hollywood Bowl, Paramount Studios, Capital Records, Warner Brothers and much more. Ride in our open air trolley, which is perfect for picture taking, and enjoy a fully narrated tour of historic Hollywood movie, TV and radio landmarks. There will be plenty of photo opportunities available as this tour takes you to the Hollywood Bowl, The Hollywood Sign and Hollywood's Walk of Fame. You'll bask in golden sunshine as your guided through Hollywood's most storied and historic landmarks, sights, attractions, and points of interest. Get a chance to see former sites of major movie studios from the golden age of Hollywood, including CBS, Twentieth Century Fox, and Warner Brothers. You won't want to miss one of the most unique ways to see all that Hollywood has to offer.